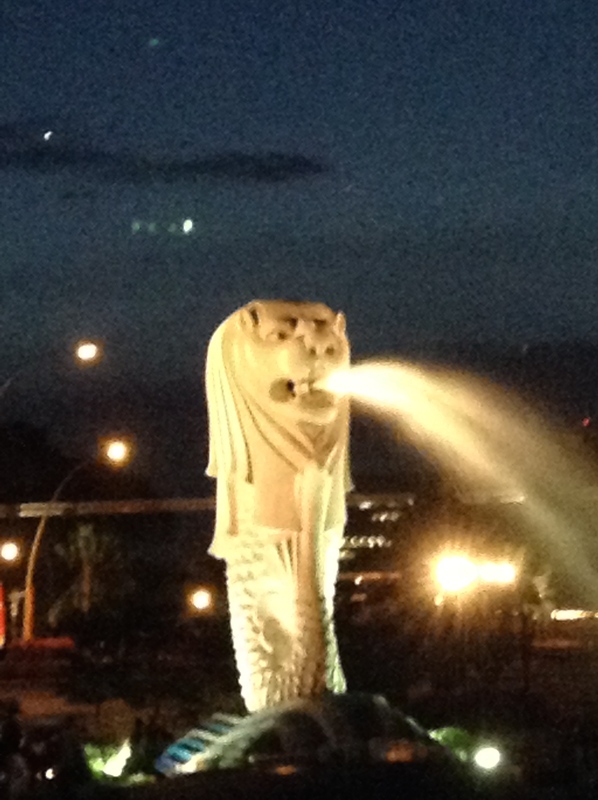 As well as moving to London, we stopped off in SINGAPORE! It was lovely and hot, which means ice cream, swimming, shorts and T-shirts! Yay! We went to some amazing places, such as Gardens By The Bay, which are two big domes shaped like shells, used as giant green houses with plants from all over the world inside! It’s a bit chilly, so make sure you bring a cardigan or jumper, so you’re not wearing your Dad’s! It’s pretty cool, particularly the one that has a HUGE waterfall! You get to go up really high and even throw a coin down the BIG waterfall. Marina Bay Sands is right next to Gardens By The Bay and if you haven’t heard of it- it is this tall building that has three main structures joined together by a large swimming pool at the top! Imagine how cool the view of the city would be! My little brother and sister both called it “The Surfboard Building”, because the pool looks like a big surfboard! Even though Singapore is nice and hot you can get some pretty big down pours too! While we were at the fantastic Singapore Zoo, we got completely drenched, particularly me, because I went into an enclosure where you can get up close to monkeys and it was pouring down with rain and the enclosure didn’t have a roof to it! I was the only one who dared to go in there while it was bucketing down with rain so that’s how I got drenched!! And I didn’t see any monkeys because they were all hiding from the rain! 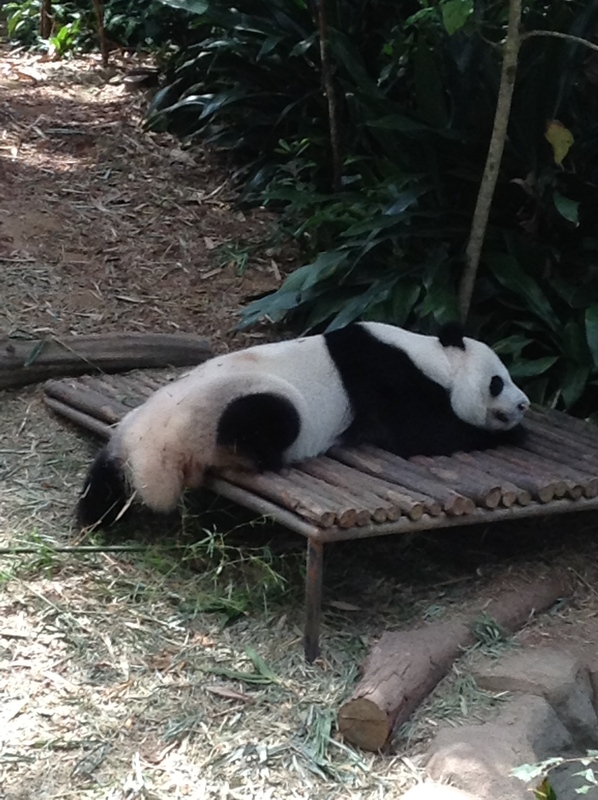 But Singapore Zoo was still so much fun! I got to see two of my favourite animals (unfortunately no Snowy Owls) but there were Tigers and Otters! YAY! We went on a relaxing boat ride called a river safari and saw some safari animals from the zoo, like giraffes, rhinos and elephants! But even more cool was- THE AMAZON RIVER QUEST! It was this fun ride where you sit in a small canoe-like boat and you go on this water lift and go up up up! Then you go down a small water slide and then you start cruising along a small river and see all this wildlife- it’s so cool! Along the way you go down you get to go down small waterslides too! If you ever go to the Singapore Zoo, I strongly recommend the Amazon River Quest! Also the ice cream there too which my friend had recommended to me before I went and we found that very useful, so now I am recommending it to you! It a bit expensive though but delicious! Another thing about ice cream we found out about though- all ice cream is quite expensive. I’ll never forget our time in Singapore, from the moment I stepped out from the plane wearing jeans and feeling extremely hot, to getting up early in the morning a feeling excited to go to London. The Park Hotel. We liked how it had gardens on the balconies! Clarke Quay daytime river cruise!